Menjadi salah satu Band tertua Polandia Scene setelah Vader, dengan konsep bermusik yang tidak jauh berbeda, ini seperti memang memperlihatkan salah satu karakteristik Type Scene Polandia yang kuat tercipta ! soon disharmonic tremolo picking driven death metal steals the show. There's also heavier riffage to bang to. Armagedon are about riffs, varying rhythms and low grunted vocals. Armagedon keep things fast, up to blast beating, but things stay clear and comprehensible. Same goes with song structures, which work, but they do not feature any surprising twists. Plus, the vocals are very, very similar throughout the album. karakter yang merupakan perpaduan kejam antara Terrorizer bertemu dengan Morbid Angel tetap menjadi andalan band2 daratan Polandia scene ini. Armagedon yang sudah eksis sejak 1986 memang bukan isapan jempol jika nama mereka bakalan terlewat begitu saja oleh Death Metal Freak Polandia. meskipun agak telat dalam merilis Karyanya, " Thanatology " siap menjadi Debutan Fresh penghantam kejam mereka ditahun 2013 tanpa kehadiran Gitaris ke-2 Raphael "Ra.V" Karwowski rasanya kurang mengendurkan semangat Bagi Frontman Krzysztof Maryniewski tetap menebarkan Virus Jahat kegelapannya bersama sang saudara Slawomir Maryniewski. Luckily these guys have some meaty riffage to make them stand out from the growling legions of technically perfect anger machines pumping out album after album of entirely listenable (if not a little generic at times) death metal. The biggest curveball that the band throw into their sound is a few bits of hit or miss keyboard work, which really adds nothing to their overall sound due to their sparse nature. " Soma " yang mengawali dengan sebuah intro berdurasi 02:08 langsung disambut dengan " Helix " sebagai penggetar Perdana materi Gress yang semakin memiliki Sound " Mewah dan Megah " menggerinda Cepat dengan Hentakan Drummer Blastbeat berbakat Adam Sierzega. Well Masih kental mengusung warna In The Vein Vader banget !! The music features guitars that are heavily distorted and brutal sounding. Tremolo picked riffs with fast tempos mixed together with some slower parts and the use of synthesizers to augment the eerie music in a few instances. This band spews forth classic death metal with catchy tracks such as the title track ! lagu " Cemeteries " memang banyak mengingatkan akan kegaharan Era " Litany " nya Vader hingga materi " De Profundis " sekali. ketukan Blastbeat Drumming masih menjadi Inti Kekuatan karakter Poland Sound. begitu juga dengan " Self Destruction " kian menghancurkan dengan komposisi yang super cepat dan Agresif ! 8 Lagu berdurasi total sekitar 35 menit an ini lebih banyak menawarkan part2 super cepat dan kadang akan menghanyutkan kita dengan lengkungan Headbang part Hitam disana sini. Those tracks are pure wrath leaving no breaks for its non-stop assault. The guitars rupture with a clear, crisp tone and the bass is right there to add to the bludgeoning quality. Drumming is ballistic and Peter’s gruff yell / growl is rowdy but a little under the guitars mixing-wise. The contrast in quality between these swifter numbers and the longer songs isn’t degraded for reasons such as disposition and flow. This album’s discordant, sinister core is portrayed in various ways and those songs are merely such ways. Dengan Kemasan Sound yang lebih matang dan berbahaya lagi, buat kalian Fans Berat Ala Vader atau Behemoth, Sangat Gw rekomendasikan untuk mencoba debutan biadab ini sekali lagi. Structures drift through abstract quantities of aggression and intolerance as the guitar layers provide the essence of the pummeling music this album as drums caress each riff with unparalleled blast bleats and double bass frantic activity as Vader acrobat themselves through high speeds and chaotic poems of endurance. Few bands have executed music as straightforward as this, yet managed to create something simply genre defining instead of churning up junk based on mainstream appeal. Absolutely astonishing Album of The year !! Being one of the oldest Polish Scene Band after Vader , with the musical concept is not much different , it's like the show is one of the characteristics of a strong Polish Scene Type created ! disharmonic soon driven death metal tremolo picking steals the show . There 's also heavier riffage to bang to . Armageddon are about riffs , varying rhythms and low grunted vocals . Armageddon keep things fast , up to blast beating , but things stay clear and comprehensible . Same goes with song structures , roomates work , but they do not feature any surprising twists . Plus , the vocals are very , very Similar throughout the album . character is a fusion between the cruel Terrorizer Morbid Angel met with band2 mainland remains a mainstay of the Polish scene . Armageddon , which has existed since 1986 is not a figment if their names are going to be missed as it is by Death Metal Freak Poland . 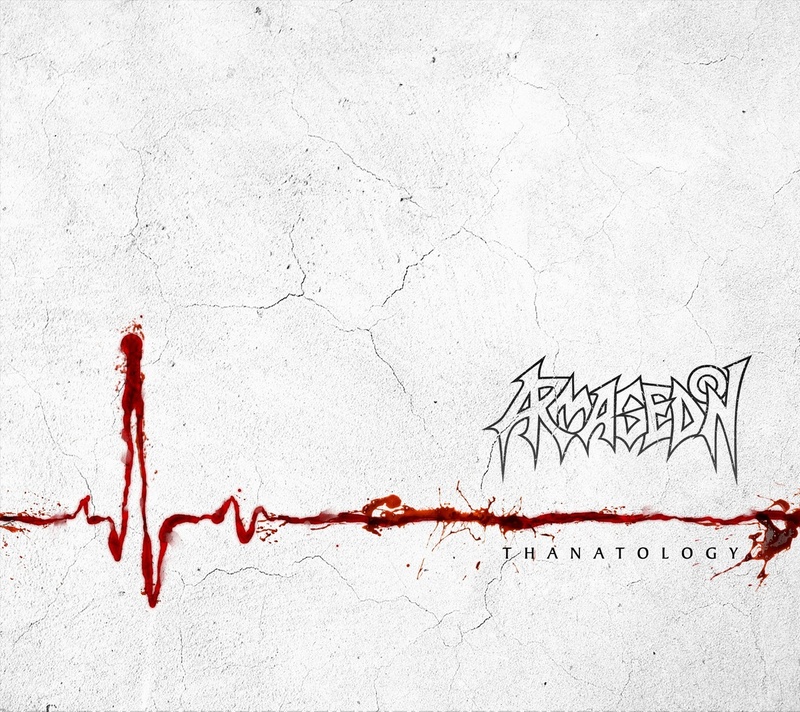 albeit a bit late in releasing His work , " Thanatology " ready to be ruthless penghantam Debutant Fresh in 2013 without the presence of their 2nd guitarist Raphael " Ra.V " Karwowski likely less loosened spirit remains Maryniewski For Krzysztof Frontman Evil Virus spreading darkness with his brother Slawomir Maryniewski . Luckily these guys have some meaty riffage to the make them stand out from the growling anger legions of technically perfect machines pumping out album after album of entirely listenable ( if not a little generic at times) of death metal . The biggest curveball that the band throw into their sound is a few bits of hit or miss keyboard work , roomates really adds nothing to their sound overall due to their sparse nature . " Soma " which begins with an intro lasts 02:08 was immediately greeted with " Helix " as vibrators are the prime material Gress has Sound "Luxurious and Magnificent " Fast grinding to the beat of drummer Adam Sierzega Blastbeat talented . Still carrying the colors condensed Well In The Vein Vader really! ! 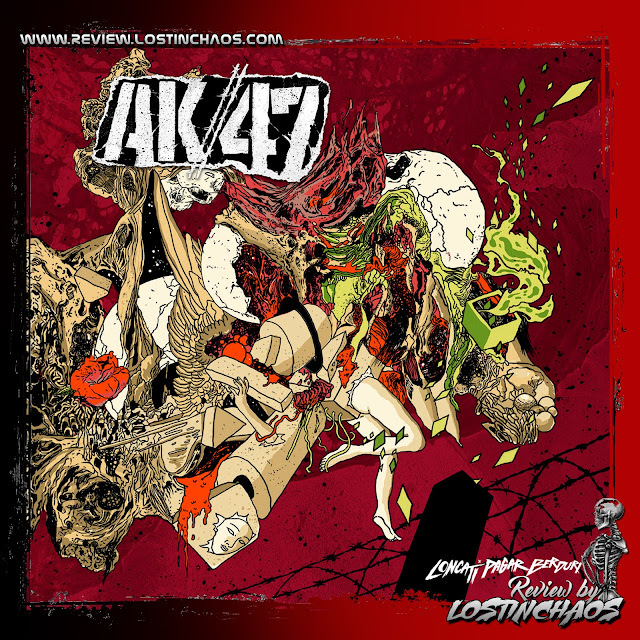 The music features that are Heavily distorted guitars and brutal sounding . Tremolo picked riffs with fast tempos mixed together with some slower parts and the use of synthesizers to augment the eerie music in a few instances . This band spews forth classic death metal with catchy tracks such as the title track! song " Cemeteries " is much reminiscent kegaharan Era " Litany " Vader to his material " De Profundis " once . beats Blastbeat Drumming Core Strength is still a character Poland Sound . as well as the " Self Destruction " increasingly destroying the composition of the super- fast and aggressive ! 8 tracks total duration of about 35 minutes late is much more to offer part2 super fast and sometimes will carry us to the curvature of the Black Headbang part here and there. Those tracks are pure wrath leaving no breaks for its non - stop assault . The guitars rupture with a clear , crisp tone and the bass is right there to add to the bludgeoning quality . Drumming is ballistic and Peter 's Gruff yell / growl is rowdy but a little under the guitars mixing -wise . The contrast in quality between these numbers and the swifter is not degraded for longer songs could be better such as disposition and flow . This album 's discordant , sinister core is portrayed in various ways and those songs are merely such ways . Packed with a more mature sound and more dangerous , for you fans Ala Weight Vader or Behemoth , It Gw recommend to try this once again debutant barbaric . Structures drift through abstract quantities of aggression and intolerance as the guitar layers provide the essence of the music this album as pummeling drums unparalleled caress each riff with double bass blast bleats and frantic activity as Vader acrobat Themselves through high speeds and chaotic poems of endurance . Few bands have executed music as straightforward as this , yet managed to create something simply defining genre instead of churning up junk based on mainstream appeal . Absolutely astonishing album of the year !